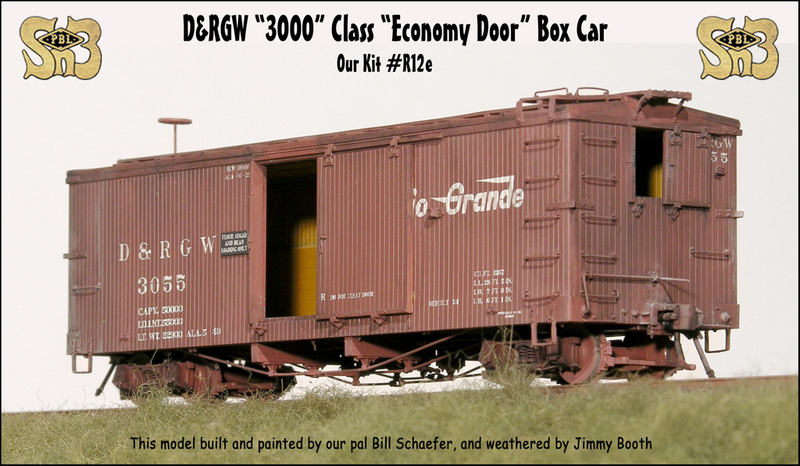 No, this kit wasn't just a "simple makeover" of our R2 and R12 "3000" series boxcars, not by a long shot. It required all new tooling for the sides, (Detailed inside and out, mind you...), the ends, and both the side and end doors and all of the door guides too ! So to commerate such an undertaking we also decided to upgrade the instructions for the thing, since the old ones were getting pretty long in the tooth, what with the first generation being typed up back in 1984 when Autocad and 3D modeling programs were something the government and outfits like Boing could afford, but that was about all. Those door guides. And the door stop too. The simple hasp type door latches on all the doors. The door itself has no reinforcing iron on it. The protective "strap", common to the "Reinforced Door" cars is missing. The story's been told that, in the 1920's, when these cars came up for rebuilding the ones with doors deemed to be in good enough shape to keep in operation were left alone, whereas those whose doors were falling apart from age, got the steel rib on the side ( behind where the door would slide. ), a new, steel reinforced door, and a much improved latch system to hold them closed properly en route. Perhaps the truth lies somewhere in the middle? 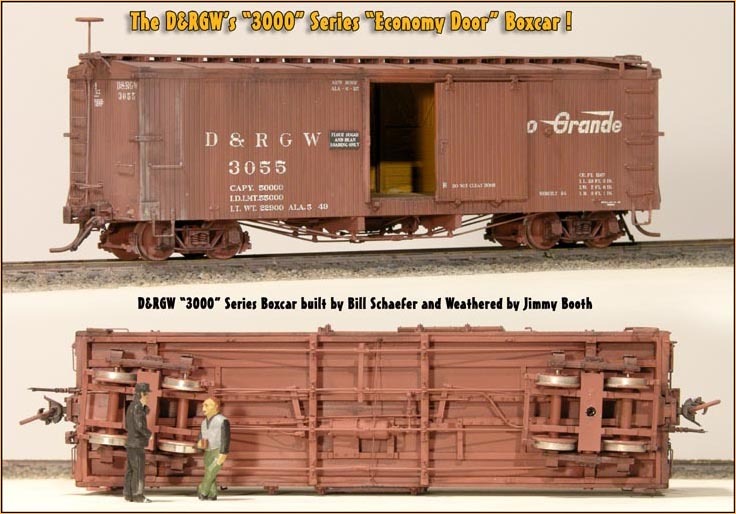 Whatever, you can click on any of the photos below for more views of this great addition to your railroad! And yes, we've "upgraded" the instructions for this kit too, with detailed illustrations IN COLOR of where things go to make you life easier !